Jaguar Land Rover has developed an autonomous vehicle (AV) lighting system that will warn other road users where the car is headed. 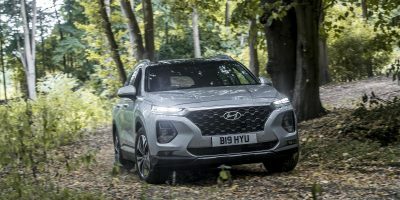 Not unlike the system unveiled by Hyundai at CES 2019, it projects images onto the road ahead to inform motorists and pedestrians of the AV’s direction of travel. The system will also let others know when it is about to stop, pull away or turn direction. 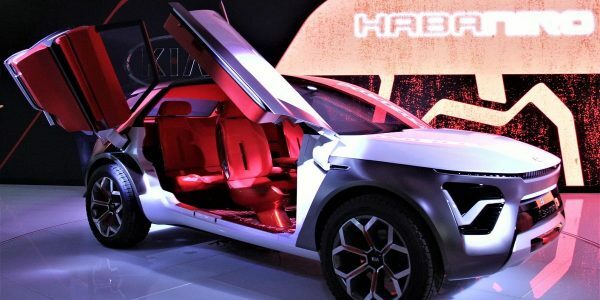 JLR says the technology is part of its strategy to bolster the public’s trust in autonomous technology. In the future the projections could even be used to share obstacle detection and journey updates with pedestrians. 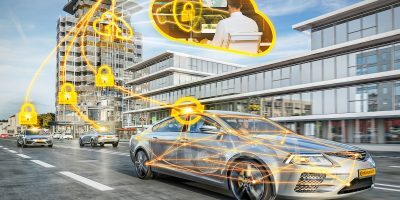 This follows its consumer research that indicated 41% of drivers and pedestrians are worried about the future mass introduction of AVs on open roads. 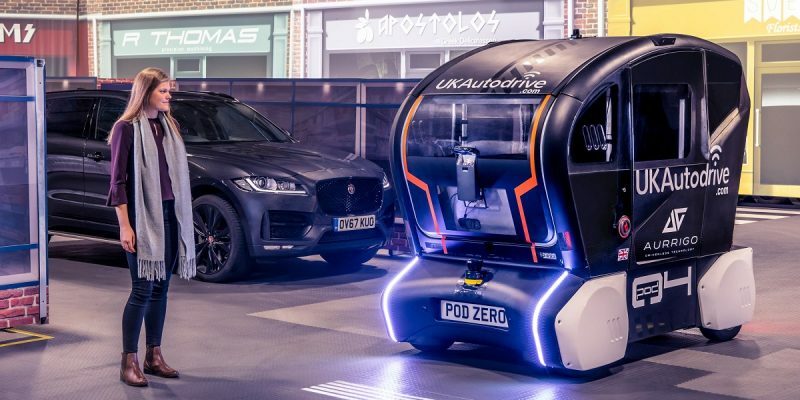 Tests have been carried out using autonomous pods developed by specialist company Aurrigo and feature a series of lines, or bars, with adjustable spacing. The gaps start closing as the pod is preparing to brake before fully compressing into one bar at a stop. Then, as the pod moves off and accelerates, the spacing between the lines opens up again. When approaching a turn, the bars fan out left or right to indicate the direction of travel.